-Added: New chassis 8x4 BDF (and Box VAK). -Added: Painted Mirrors (Front and Side). -Added: Refrigeration unit Mitsubishi TU100SA. -Added: New chassis with a hook height of 800 mm. (only for trailer VAK). -Added: New trailer with dolly VAK. -Added: Mirrors with the option of installing additional lighting. -Added: Rear Fenders Parlok (and mudflaps). -Added: Rear Bumpers (VAK and VBG). -Added: High roof spoiler for VAK Box. -Added: New BDF Trailer (Krone Profi Liner Long with trolley). registered in Scandinavia and Germany. -Added: Empty Trailer Krone with trolley. -Fixed: red glow of the GPS. (Krone Long HGV with trolley - two versions with a blue and black trolley). registered in Scandinavia and Germany. -Added: Box Body Krone Cool for rigid chassis. 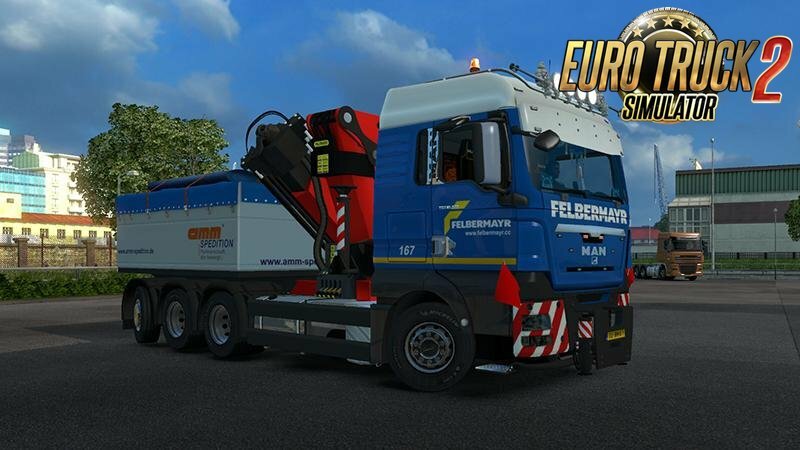 - Added: New BDF Trailer (Schmitz 2-central axle with box body). 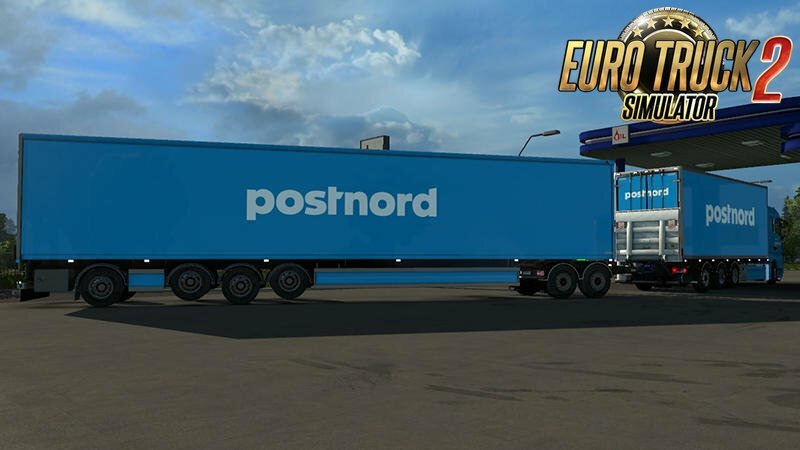 - Added: New BDF Trailer (Schmitz 2-axle with dolly). - Added: New BDF Trailer (Krone 3-axle with trolley). - Added: Box Body Schmitz for rigid chassis. - Added: Box Curtain Krone for rigid chassis. - Added: Underfloor Refrigeration Carrier Supra 1150 U MT (when choosing a Schmitz Boxes). - Basic model SCS Software. - -No details from other games or mods. 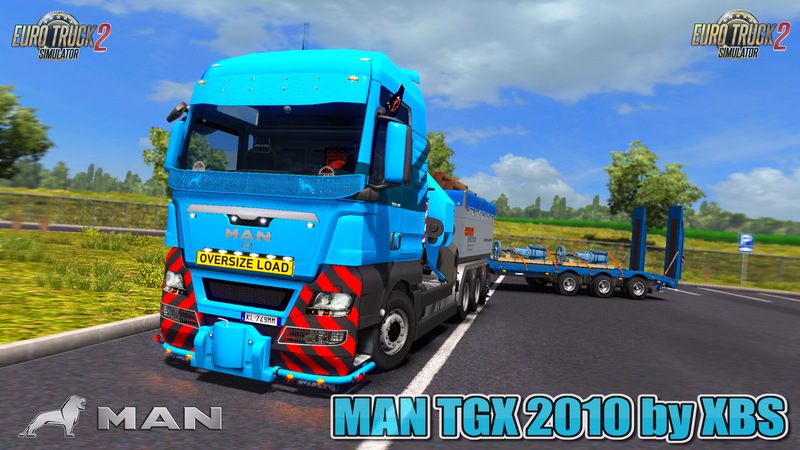 - All additional details created in the 3d editor for this truck. 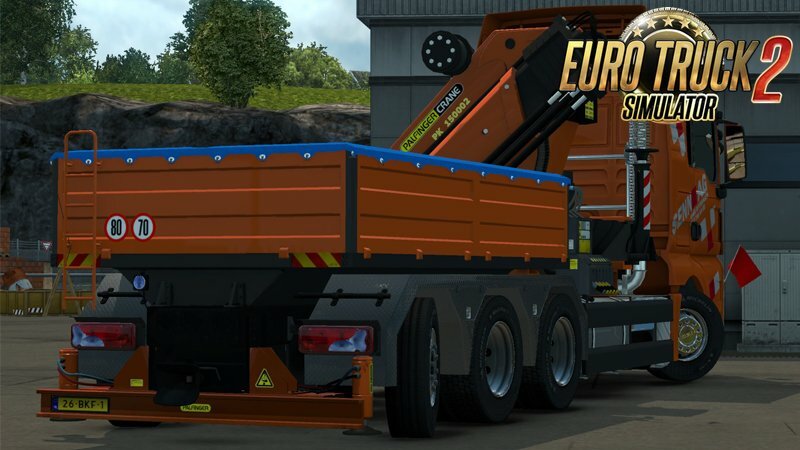 - Added: New BDF Trailers (Schwarzmüller Tank 2-axle with trolley). - Added: New chassis BDF Rigid with Tank -(Schwarzmüller Aluminium tank body for 3A truck – side-mounted cabinet – 19,500 l). - Fixed: Changed UV map template trailer and Containers Krone. *) Replace skin for trailer and Container Krone Long HGV. -) Replace skin for trailer Krone Profi Liner Long. -) Replace skin for trailer and Container Schmitz BDF (2-central axle and with dolly). _____ and normal map model/l_plate/l_plate_nm.dds). -) Sun visor with text (Your text: replaced texture //model/sunvisor_text/text.dds, Do not forget about the alpha channel).